1) Clicks/Counts: When you measure an X-ray tube using clicks and counts, the device tells you how many exposures the X-ray tube has performed. The only issue is, it doesn’t tell you how much power was used with each one. With the gantry rotation speed, you can also calculate the time the tube has been used. Toshiba uses these terms. 2) Total Patient Exams: The measurement of total patient exams is the sum of individual cases performed by the X-ray tube. Total patient exams provide only a rough estimate, as it doesn’t tell you the duration or power of each exam. It’s the least effective way to determine tube usage. However, if no other information is available, it will do. 3) Scan Seconds: Scan Seconds measurements take into account the duration of tube exposures and are much more accurate. Unfortunately, it doesn’t measure how much effect/heat ran through the X-ray tube. However, it’s the most common method of measurement for most manufacturers, including Toshiba, Siemens, GE and Philips. 4) Milliampere Seconds (mAs): mAs provides you with both the duration of the exposures and how much power ran through your x-ray tubes. It’s the most accurate x-ray count available. GE uses it on most of its systems. While the “normal” lifespan of x-ray tubes is difficult to predict, on average a 7 MHU tube will last more than 150 million mAs and a 4 MHU tube will last 70-100 million. 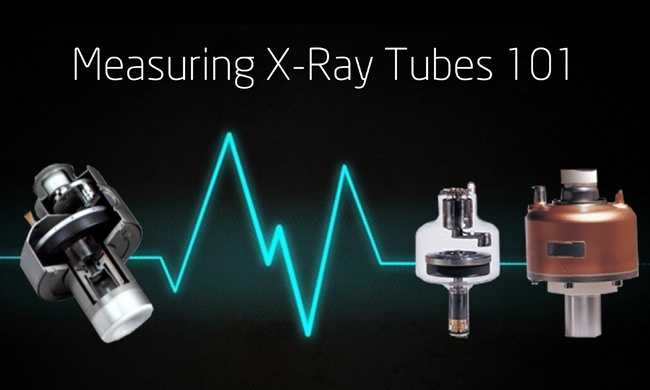 mAs is by far the best way to determine the lifetime of an x-ray tube because it offers the most precise measure of what the tube has performed during its lifetime. The lifetime of a tube is still hard to measure, and even if you have high measures, a tube may still have a lot of life in it. By the way, if you want to prolong the life of your X-ray tube and CT scanner, be sure to warm it up before every examination. At Atlantis Worldwide, we are always looking for ways to help our clients get the equipment they need at an affordable cost. We offer the best selection of refurbished and used medical imaging equipment, complete with impressive warranties. We can help you determine the best equipment for the most value, and make the process easy every step of the way. Talk to one of our specialists today! Contact Us!